Accent your room with this bold landscape mirror. 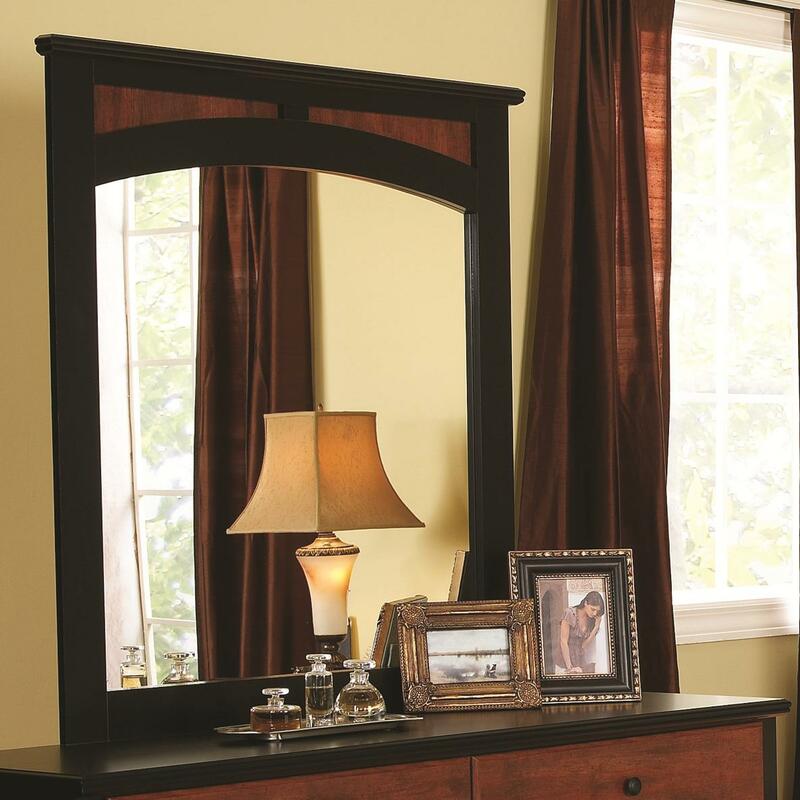 Beautifully framed with fruitwood in a deep black finish that accentuates the large size, this mirror will reflect light and enhance depth in your master bedroom. 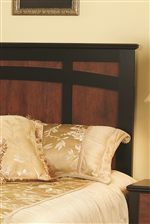 A scalloped top edge frames in two cinnamon finished wood inserts topped with a moulded edge for a formal touch. 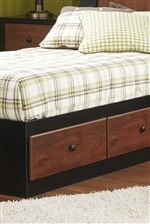 Place on top the matching black and cinnamon 7-drawer dresser for the complete style. 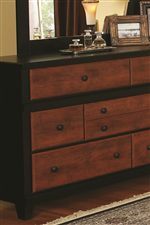 The 49000 Series Black & Cinnamon Landscape Mirror by Perdue at Sam Levitz Furniture in the Tucson, Oro Valley, Marana, Vail, and Green Valley, AZ area. Product availability may vary. Contact us for the most current availability on this product.